TAMPA, Fla., Feb. 6, 2019 – Standing in front of a crowded room full of anxious pet parents, some holding their dog’s leash in white-knuckled fists, Angela Ardolino takes a deep breath before speaking passionately about CBD. She is there for her CBD Sessions event, holding a small black chihuahua named Charlie who belongs to a member of the audience. She feeds him CBD treats as she explains that cannabidiol, or CBD extracted from the hemp plant can help ease anxiety and stress, alleviate joint pain and inflammation, and even shrink tumors and treat cancer. The group stands at attention, soaking in every word, willing to give this miracle plant a try. As the founder of CBD Dog Health and a medical cannabis expert, Ardolino has dedicated her life to educating the public, veterinarians, groomers, and retail shops about the power of CBD through her CBD Sessions and products. Now, Ardolino and her business partner, Broadway actor and CBD activist Hernando Umana, are excited to bring CBD education and products to attendees of Global Pet Expo in Orlando on March 20-22. Additionally, CBD Dog Health is proud to announce the launch of their new line of full spectrum hemp CBD horse tinctures, which will be available for the first time at Global Pet Expo. When Ardolino was diagnosed with anxiety and rheumatoid arthritis, she learned that CBD could help. Soon after, her beloved schnauzer Odie received the same diagnoses, and Ardolino decided to change the pet industry. Together with Umana and her team she created CBD Dog Health to formulate natural, full spectrum hemp CBD products, specifically for animals. Over two years before opening CBD Dog Health, Ardolino earned professional certification in the therapeutic uses of medical cannabis from the University of Vermont College of Medicine. Following the legalization of hemp farming in certain states, Ardolino began formulating full spectrum hemp CBD products specifically for dogs and cats, releasing CBD Dog Health’s first line of products at SuperZoo in Las Vegas in June 2018. CBD Dog Health has since been recognized as a leader in the pet industry. In fact, CBD Dog Health salves werewinners of the 2018 Pet Business Industry Recognition Awards from Pet Business Magazine. CBD Dog Health’s products include full spectrum hemp CBD oil tinctures for dogs and cats, topical CBD salves, and delicious CBD infused freeze-dried salmon and chicken treats. These products treat a range of ailments including anxiety, stress, fear, allergies, inflammation, joint pain, arthritis, cancer, tumors, seizures, and autoimmune diseases. All of CBD Dog Health’s products are third-party lab tested for purity and potency, and contain no pesticides, herbicides, or dangerous chemicals. Due to popular demand and the overwhelming success of their dog and cat health products, CBD Dog Health is launching their new line of full spectrum hemp CBD tinctures designed specifically for horses. These new horse tinctures will deliver the same healthful benefits for which CBD Dog Health products have become known, but in stronger formulations to meet the needs of equine breeds. Horse CALM, EASE, and HEAL Full Spectrum Hemp CBD Oil tinctures will be available for purchase and wholesale orders at Global Pet Expo and will be included in show specials. CBD Dog Health will be located at Global Pet Expo’s Booth 6550 and will have show specials available including wholesale discounts ONLY available for attendees. Global Pet Expo, the pet industry’s largest annual trade show, is presented by the American Pet Products Association (APPA) and Pet Industry Distributors Association (PIDA). It is the largest pet products trade show in the United States showcasing miles worth of pet products, more than 3,000 product-launches and 150 first-time exhibiting companies. Global Pet Expo is ranked one of the top 100 trade shows in the nation by Trade Show Executive. To learn more about CBD Dog Health, visit www.cbddoghealth.com. The American Pet Products Association (APPA) is the leading trade association serving the interests of the pet products industry since 1958. APPA membership includes more than 1,200 pet product manufacturers, their representatives, importers and livestock suppliers representing both large corporations and growing business enterprises. APPA’s mission is to promote, develop and advance pet ownership and the pet product industry and to provide the services necessary to help its members prosper. APPA is also proud to grow and support the industry through the following initiatives: Pets Add Life (PAL), the Human Animal Bond Research Initiative (HABRI), The Pet Leadership Council (PLC), the Pet Industry Joint Advisory Council (PIJAC) and the Pet Care Trust. Visit www.americanpetproducts.org for more information. 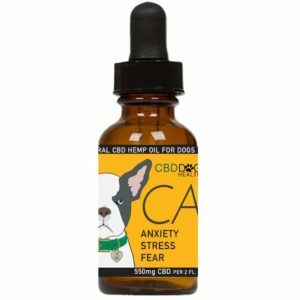 CBD DOG Health is a pet wellness company that offers a range of full spectrum hemp CBD oil-infused products for pets. CBD-rich hemp oil is all-natural and non-psychoactive, which makes it an appealing option for pet parents looking for relief for their pet’s inflammation, pain, anxiety, psychosis, seizures, spasms, and other conditions. 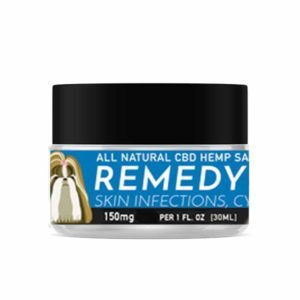 The company’s cannabinoid formulations are homeopathic blends of CBD and other all-natural ingredients, including salmon oil, arnica, ginger, lavender, vanilla, and various other natural compounds. All these ingredients are specially formulated to work in concert for extended absorption and optimal effectiveness for dogs of any breed and size. CBD Dog Health is a member of the American Pet Products Association and CBD Dog Health salves were awarded the 2018 Industry Best Award by Pet Business Magazine. For more information, visit www.cbddoghealth.com. With over 25 years of experience caring for animals, Angela Ardolino is the founder and CEO of CBD Dog Health and House of Alchemy, LLC, a company dedicated to cultivating and processing the purest medical cannabis products, with the lowest environmental impact, for humans and pets. Ardolino is active in Women Grow and United for Care, and she holds a professional certification in Medical Cannabis for therapeutic use from the University of Vermont College of Medicine. Ardolino is the mother of three dogs, Nina, Odie, and Jolene, as well as 23 ducks, 19 chickens, 9 geese, 1 bunny and a pig at her rescue farm, Fire Flake Farm. For more information, visit www.parentingwithangela.com/. PreviousPrevious post:5 Ways to Help Your Dog Cope With Their Joint PainsNextNext post:Should senior dogs still go to the groomer?